Can a handful of walnuts help prevent a heart attack? How about a bowl of oatmeal, or even a baked potato topped with some heart-healthy margarine? A few simple tweaks to your diet may be enough to lower your cholesterol to a healthy level and help you stay off medications. Many studies have shown that walnuts can significantly reduce blood cholesterol. Walnuts are rich in polyunsaturated fatty acids, which helps keep blood vessels healthy and elastic. Almonds and some other nuts also have a similar effect. According to the Food and Drug Administration, eating about a handful (1.5 ounces, or 42.5 grams) a day of most nuts, such as almonds, hazelnuts, peanuts, pecans, some pine nuts, pistachio nuts and walnuts, may reduce your risk of heart disease. But all nuts are high in calories, so be sure to limit yourself to about a handful. As with any food, eating too much can cause weight gain, and being overweight places you at higher risk of heart disease. To avoid gaining weight, replace foods high in saturated fat with nuts. For example, instead of using cheese, meat or croutons in your salad, add a handful of walnuts or almonds. Oatmeal contains soluble fiber, which reduces your low-density lipoprotein (LDL), the “bad” cholesterol. Soluble fiber is also found in such foods as kidney beans, apples, pears, psyllium, barley and prunes. Soluble fiber reduces the absorption of cholesterol in your intestines. Ten grams or more of soluble fiber a day decreases your total and LDL cholesterol. Eating 1 1/2 cups of cooked oatmeal provides 6 grams of fiber. If you add fruit, such as bananas, you’ll add about 4 more grams of fiber. To mix it up a little, try steel-cut oatmeal or cold cereal made with oatmeal or oat bran. Research has supported the cholesterol-lowering benefits of eating fatty fish because of its high levels of omega-3 fatty acids. Omega-3 fatty acids also help the heart in other ways such as reducing blood pressure and the risk of blood clots. In people who have already had heart attacks, fish oil — or omega-3 fatty acids — significantly reduces the risk of sudden death. Doctors recommend eating at least two servings of fish a week. The highest levels of omega-3 fatty acids are in mackerel, lake trout, herring, sardines, albacore tuna and salmon. However, to maintain the heart-healthy benefits of fish, bake or grill it. If you don’t like fish, you can also get omega-3 fatty acids from foods like ground flaxseed or canola oil. You can take an omega-3 or fish oil supplement to get some of the beneficial effects, but you won’t get all the other nutrients in fish, like selenium. If you decide to take a supplement, just remember to watch your diet and eat lean meat or vegetables in place of fish. Olive oil contains a potent mix of antioxidants that can lower your “bad” (LDL) cholesterol but leave your “good” (HDL) cholesterol untouched. The Food and Drug Administration recommends using about 2 tablespoons (23 grams) of olive oil a day to get its heart-healthy benefits. To add olive oil to your diet, you can saute vegetables in it, add it to a marinade, or mix it with vinegar as a salad dressing. You can also use olive oil as a substitute for butter when basting meat. Some research suggests that the cholesterol-lowering effects of olive oil are even greater if you choose extra-virgin olive oil, meaning the oil is less processed and contains more heart-healthy antioxidants. But avoid “light” olive oils. This label usually means the oil is more processed and lighter in color, not fat or calories. Margarines, orange juice and yogurt drinks fortified with plant sterols can help reduce LDL cholesterol by more than 10 percent. The amount of daily plant sterols needed for results is at least 2 grams — which equals about two 8-ounce (237 milliliters) servings of plant sterol-fortified orange juice a day. Plant sterols or stanols in fortified foods don’t appear to affect levels of triglycerides or of “good” high-density lipoprotein (HDL) cholesterol. Nor do they interfere with the absorption of the fat-soluble vitamins — vitamins A, D, E and K.
The American Heart Association recommends foods fortified with plant sterols for people with levels of LDL cholesterol over 160 milligrams per deciliter (4.1 mmol/L). Before you make other changes to your diet, think about cutting back on the types and amounts of fats you eat, which can raise your cholesterol. That way, you’ll improve your cholesterol levels and health overall. When cutting fat from your diet, focus on saturated and trans fats. Saturated fats, like those in meat and some oils, raise your total cholesterol. Trans fats, which are sometimes used to make store-bought cookies, crackers and cakes, are particularly bad for your cholesterol levels because they raise low-density lipoprotein (LDL), the “bad” cholesterol and lower high-density lipoprotein (HDL), “good” cholesterol. You should try to limit the number of calories you eat daily to less than 10 percent from saturated fat, and eliminate as many trans fats from your diet as possible. Conventional wisdom on dietary fats has changed. At one time, all fats were deemed unhealthy, and responsible for all manner of diseases, from cardiovascular disease to diabetes. But years of research have changed our thinking and we now know that all fats are not created equal. There are good fats, bad fats, possibly-not-so-bad fats, and very bad fats. As oxymoronic as it sounds, there are actually good fats—the unsaturated kind that help fight the very diseases that consuming excess fat was said to cause. These unsaturated fats are divided into monounsaturated fats and polyunsaturated fats, and both types are thought to have beneficial effects on cholesterol levels. Monounsaturated fats help lower LDL (bad) cholesterol while also boosting HDL (good) cholesterol. Polyunsaturated fats are also thought to help lower total and bad cholesterol. But monounsaturated fats tend to be favored over polyunsaturated fats because some research suggests that polyunsaturated fats are less stable, and can reduce levels of good cholesterol as well as bad. But let’s not ignore polyunsaturated fats. These are often a good source of omega-3 fatty acids, found mostly in cold-water fish, nuts, oils and seeds, and also in dark leafy greens, flaxseed oils and some vegetable oils. One kind of omega-3 fatty acid is an “essential fatty acid,” which cannot be manufactured by our bodies, so eating these foods is the only way to get them. Omega-3 fatty acids are thought to lower blood pressure, combat LDL (bad) cholesterol, fight inflammation and protect the brain and nervous system. Most cooking oils are made up primarily of unsaturated fats. When it comes to choosing cooking oils, each type of cooking oil varies in its ratio of monounsaturated to polyunsaturated fats. Two oils stand out for their high levels of monounsaturated fats: canola oil and olive oil. Other than nonstick cooking spray, these two oils should be in your pantry. At the end of the day, a good fat is still a fat in terms of calories. Any labels on cooking oil that describe the oil as “light,” are referring to the taste or color, not the fat or calorie content. All oils are 100 percent fat and are worth around 120 calories per tablespoon. Then there are the bad fats—those artery-clogging saturated fats from meat and dairy products. These fats are solid at room temperature. Saturated fats not only clog our arteries, they also directly raise total and LDL (bad) cholesterol levels. Avoid them as much as possible. But, we are told, some saturated fats may not bad at all: some argue that coconut oil and palm oil may actually be beneficial because their particular fatty-acid make-up means they are metabolized differently in the body. So it could be that plant-based saturated fats may be more beneficial, or at least more neutral, than we think, but there is no broad consensus on this yet. And while coconut oil and palm fruit oil have been rehabilitated in the eyes of some, there are fewer proponents of palm kernel oil. Finally, there are what are now described as the really bad fats: trans fats, also known as hydrogenated fats. Trans fats are created during a hydrogenation process, where liquid vegetable oils are converted into solid fats. Trans fats are thought to be worse for us than saturated fats because they not only raise total and LDL (bad) cholesterol, they also lower HDL (good) cholesterol. Trans fats lurk in all kinds of processed foods, from French fries to cookies. Thanks to new food-label laws, which came into effect in January 2006, trans fats—once described as hidden fats—are now listed on all packaged foods. And in the year or two before these label laws came into effect, there was a lot of media attention focused on trans fats, and what food manufacturers were doing to reduce trans fats in their products. But has this increased our awareness of these bad fats made an impact on our eating habits? In a survey by the NPD Group, a market research firm, 94 percent of us are aware of trans fats, and 73 percent of us are concerned about them. But although most consumers were aware that french fries and other fried foods contained trans fats, they were less aware of the trans-fat content in other processed goods such as cakes, doughnuts, and snack foods. Indeed, 65 percent of consumers believed restaurant food was more likely to contain trans fats than food eaten at home. And despite consumers expressing a desire to avoid trans fats while eating out, sales of foods containing trans fats, such as fried chicken, are still increasing. Either we’re as confused as ever, or we choose to disregard what we know. It’s hard to pass up those delicious fast-food fries or refuse to buy our favorite packaged cookies or doughnuts. But with many restaurants switching to alternative cooking oils—voluntarily or otherwise, it looks like trans fats are finally on their way out. What Kind of Fats Should we Eat? The bottom line is that the body needs dietary fat. Fat is a source of energy, it allows the proper function of cells and the nervous system, and fat is required for the proper absorption of certain vitamins. Fat also helps us maintain healthy hair and skin, and insulates us from the cold. Nonetheless, we should limit our fat intake to no more than 30 percent of daily calories. Anything lower than 20 percent, however, is unhealthy. Most of that fat should be unsaturated. Use liquid oils over solid fats in cooking. Choose low-fat dairy products, and the leanest cuts of meat and poultry. We should eat fish (including fatty fish such as salmon) at least twice a week, and keep processed food and fast foods to an absolute minimum. Finally, back to trans fats: even if a food label proudly touts 0g trans fats, it doesn’t transform that food into a health food. It means that the hydrogenated fat has been replaced by another kind of fat, often a saturated tropical fat, which may or may not be more beneficial. If you want to lose weight fast, then look no further. This article will tell you the secret foods to eat in order to kick start your metabolism into high gear! You’ll be burning fat off while you sleep just by eating these fat fighting superfoods! Does that sound like a good idea? Great – let’s get started on your journey to a new healthier you. Ohh, and did I mention how tasty they are as well? Raspberries, blueberries and strawberries: Take your pick. They are all full of disease-fighting phytochemicals, which can help prevent certain types of cancer. 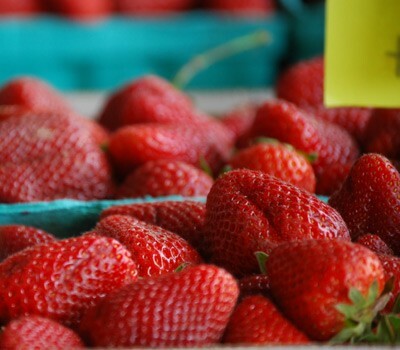 Buy extras – organic is best, because non-organic berries are heavily sprayed with pesticides – and freeze them: Berries frozen at peak ripeness have higher nutritional value than the ones shipped north in the winter. Long the cure for a broken heart, dark chocolate may actually help prevent heart disease. New research has found that eating even a small amount every day reduces inflammation associated with cardiovascular disease.Researchers credit dark chocolate’s antioxidant flavonoids. 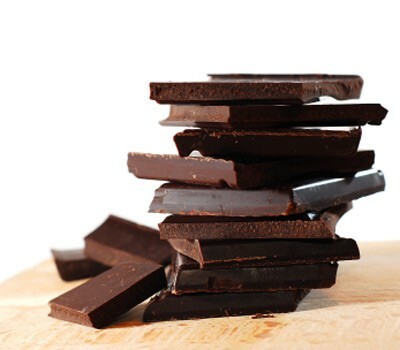 “The higher the cocoa content, the better, says the Toronto-based dietitian Susan Fyshe. 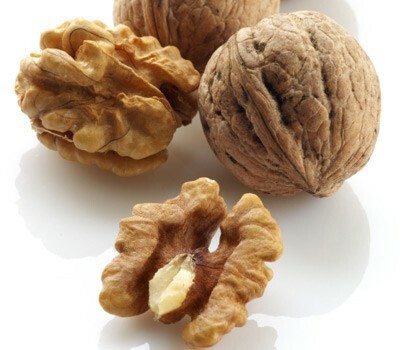 One ounce of walnuts has 2.6 grams of alpha-linolenic acid, a type of omega-3 fatty acid. Other nuts contain only 0.5 grams per ounce, and fortified juices have only 0.1 grams per cup. Walnuts are also packed with antioxidants and amino acids, and they’re rich in fibre and protein. These buttery fruits contain monounsaturated fats (a good fat) and vitamin E: two ingredients that help keep your skin nourished. But the best part may be that the fat in avocados helps your body absorb carotenoids, such as lycopene and beta carotene, from other foods, which may lower your cancer risk. 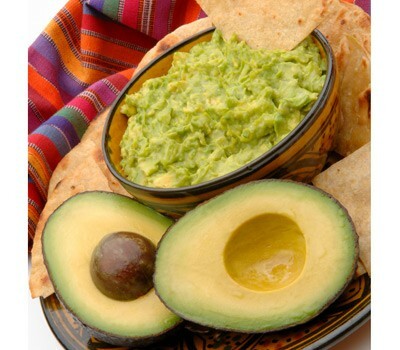 Pass the guacamole! Want some seasoned advice? 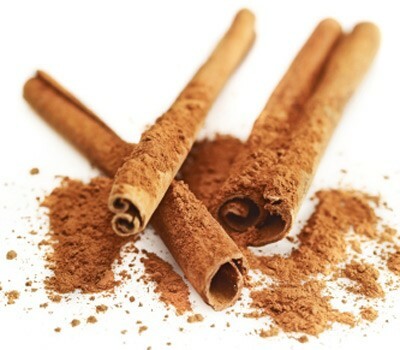 Add a quarter of a teaspoon of ground cinnamon to your food to help lower triglyceride and “bad’ LDL cholesterol and reduce blood-sugar levels, an especially good result for those with type 2 diabetes. Sprinkle the sweet and spicy condiment into tea or coffee, into cereal and oatmeal or on apple slices for a midday snack. Consumed for ages in Asia, this brew contains polyphenols, which have strong antioxidant properties. Studies show that drinking green tea may lower your risk of developing certain cancers, and researchers are investigating its role in preventing liver disease, diabetes and high cholesterol. 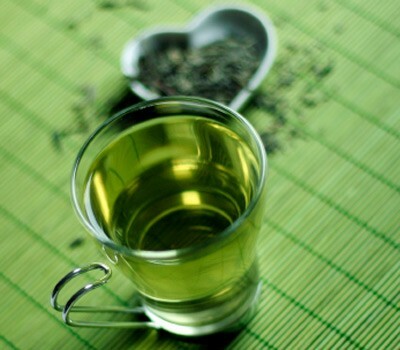 If that’s not enough to sway you to sip, green tea may also help with weight loss. All that is enough to convince us that green tea deserves some of our coffee time. 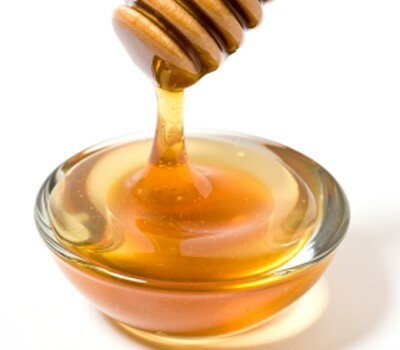 This may be the sweetest thing you hear all winter: A research team at Pennsylvania State University has found that buckwheat honey given to children ages two to 18 before bed was more likely to relieve their coughs and help them sleep than dextromethorphan, a cough suppressant. You’ll rest easier knowing that honey is a safe alternative to cough syrups, which Health Canada warns could affect your child’s health. (Honey is not safe for children under age one.) Try it for your own coughs, too. Who needs a spoonful of sugar when honey’s the remedy of choice? 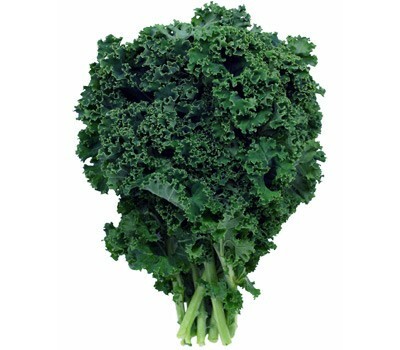 This curlier cousin of cabbage and broccoli is impressively high in beta carotene and vitamins A and C, not to mention sulforaphane, a compound that researchers suggest can prevent cancer by helping the body eliminate carcinogens. (Mom was right: We shouldn’t leave the table before eating our greens.) Try it roasted or steamed with salt and garlic. Pucker up: Drinking lemon water first thing in the morning cleanses your liver, giving your body a mini detox by “gently keeping your bowel processes regular,” says the Toronto-based naturopathic doctor Cara MacMullin. 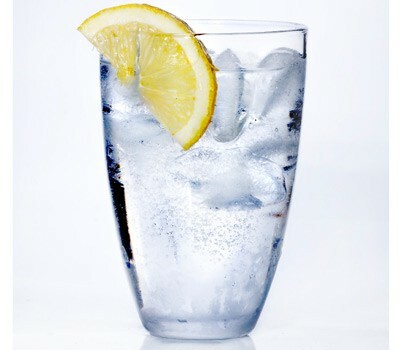 Squeeze half a lemon into lukewarm water and drink 20 minutes before breakfast. This citrus fruit also boasts vitamin C and potassium. 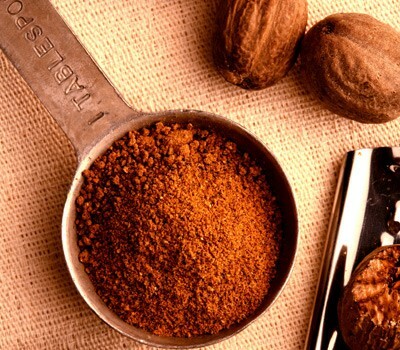 Eggnog, pumpkin pie, Grandma’s creamed spinach – these festive treats all contain an ingredient that’s good for you during pig-out season: nutmeg. According to Sherry Chen, a Toronto-based naturopathic doctor, the spice, traditionally used in Chinese medicine to treat gastrointestinal disorders, helps relax muscles and remove gas from the digestive tract, soothing poor circulation, bloating and diarrhea. If this sounds like your usual holiday hangover, you may want to go easy on the turkey and save room for dishes laced with this savoury spice. Make your life sweeter with peppers. 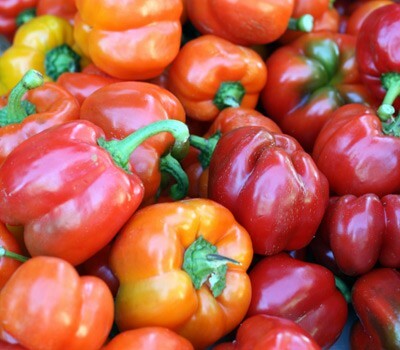 Nearly all peppers start out green, ripening on the vine to become red, orange or yellow, depending on the variety. It picked early, peppers will stay green, losing out on some of the nutritional power of their more colourful cousins. A green pepper has more vitamin C than an orange and more than 100 percent of our recommended daily intake. Red and yellow peppers have twice as much vitamin C as that. And red peppers have eight times as much beta carotene as green ones. Grill, stir-fry or dip some for a satisfying snack. It doesn’t get any juicier – or healthier – than a summerfresh tomato. The red ones are packed with the most lycopene, a fat-soluble antioxidant that may lower your risk of heart disease and cancers of the cervix, breast, bladder, skin and lungs. Add them to omelettes and salads, or chop them up to make a fiery salsa for weekend entertaining. These mushrooms may seem like innocuous salad filler, but they’re actually gaining notoriety for their healthful properties. This unlikely superfood is a source of B vitamins, which help break down carbs into energy-boosting glucose and aid the normal functioning of the nervous system. They may also offer an immune boost: A recent study at Tufts University in Boston found that common mushrooms may ward off viruses and help fight cancer tumours in mice by increasing the immune system’s killer-cell activity. But the best part is that they’re high in umami, a savoury flavour that’s also abundant in fattening food. When you’re craving French fries, cook up some mushrooms instead and see if that doesn’t satisfy you.